Australia in the early part of the 20th century gradually developed its two-party system. But in recent years this has degenerated into an essential duopoly controlled by powerbrokers. Those infamous ”faceless men” do not operate with nation’s best interests in mind. Their mission is to select candidates for election not on the basis of merit, but because of the supplicants’ allegiance to their patrons. This corruption of our institutions may well explain why we, one of the world’s oldest democracies and one which was a pioneer in such reforms as the secret ballot and votes for women, have fallen behind other comparable democracies. This may well explain why our competition law not only tolerates but authorises one of the most powerful retail duopolies which so seriously disadvantages both consumers and suppliers, particularly Australian farmers. It may also explain why we are the most fiscally centralised federation in the OECD. But all is not lost. The changes that 100 years ago dismantled a similar system of powerbrokers in the United States seem finally to have arrived here. The glimmer of democracy that has been inserted into the Labor Party is one change, whatever the reasons for this. Allowing rank-and-file members to shape a virtual ‘house of the people’, notionally ranking them the equal of Caucus aristocracy in choosing new leaders, may have consequences as unintended as Louis XVI’s calling of the états généraux, the Estates-General. The first intramural election of a federal Labor leader, rejected by 60% of the rank and file, has demonstrated that the ALP’s ‘house of commons’ cannot prevail against the determined will of the powerbrokers –the ALP’s very own House of Lords, if you will, which then cavalierly determined who should be in Cabinet on the basis of faction rather than merit. Nevertheless, the the fact is the members have now acquired a taste for democracy. If Labor’s powerbrokers do not satisfy their legitimate aspirations, the results may well be as bloody as in 1789. On the one hand, there are parts of the Liberal Party speeding down the path of democratisation, with the South Australian and the Victorian Divisions in the vanguard. Both have introduced the concept of the primary, particularly in the choice of candidates for the federal and state lower houses. These primaries are restricted to members of the relevant electorate and are usually called “plebiscites”. Unlike American primaries they do not extend to registered supporters of the party. Hence, where the Liberal Party’s executive maintains firm control both over who may become a member and who may remain a member, its dominance remains obvious. In addition, the way in which the plebiscite is conducted, where it is held and so on are all matters within the control of the executive. If primaries of registered supporters were to be introduced in Australia, these would be conducted under a more open system, no doubt administered and overseen by some public body. There are suggestions that one plebiscite in one of these states was manipulated in favour of particular candidate. Certainly, Victoria and South Australia have moved towards a much more open and transparent and democratic procedure. In the meantime, we have what is truly the Ancien Régime in New South Wales. There the executive has been dominated by powerbrokers who are also lobbyists. Given the extraordinary power of the executive in the pre-selection of candidates, and the promotion of clients to ministers, even the most unsophisticated observer would see an obvious conflict of interest, one which on principle should be avoided. Yet even when the media began to take an interest in government decisions apparently facilitated through lobbying, reform was vehemently resisted. Then, just as William Wilberforce emerged as the leader of the movement to end the slave trade and slavery itself, so a leader emerged who made it his mission to bring the NSW Division into the democratic era, one John Ruddick. He would now have the overwhelming support of the membership. When he stood for the position of state president last year he won 38% of the vote of an electoral college which consists of a small proportion of the membership and is dominated by the powerbrokers. That is, no federal minister will have anything to do with a lobbyist who is also a party official. Barry O’Farrell, who has been NSW Premier for over two years, appeared with the Prime Minister and said the same rules would now apply in New South Wales. Registered lobbyists then resigned from the New South Wales executive, but the new rules still allow the state government to deal with party officials who also lobby actively for the organisations which employ them. 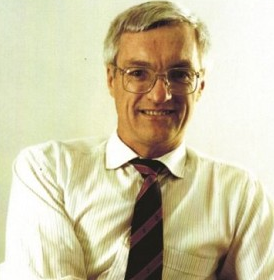 The ABC’s 7.30 programme reported on the decision, and John Ruddick spoke of his campaign to democratise the party. Although other Liberals spoke, the executive has announced that it will convene on November 22 as prosecutor, judge and jury. It will then decide on its own motion whether or not to suspend him for five years. All this under an extraordinary rule which forbids members from speaking publicly “unless … authorised by the State Director.” The rule seriously and blatantly breaches the freedom of political communication all Australians enjoy and which is implied in our Constitution. The Liberal Party is, after all, more than a private organisation for organising dinner parties and good works. It is one of the two major filters of the political process. In collusion with the Labor Party, its MP’s have made it a significant and powerful adjunct of the state. They have endowed it with a cornucopia of legal privileges. They have enriched it with rivers of taxpayers’ gold which flow from, and are vastly magnified by, the voting they themselves have kept compulsory. Gagging the thousands of members of the Liberal Party is a serious attack on the right to free speech, one which would horrify party founder Sir Robert Menzies. Such a measure undermines our democratic form of government. It could hardly survive the justices of the High Court. In any event it will achieve nothing, not least because it has outraged the rank and file. Now will it silence John Ruddick. The fact of the matter is that the genie is now out of the bottle. Now that the broad memberships of the Liberal and Labor parties is becoming aware of its options, it is inevitable members will demand — and just as certain they will get — fundamental democratic reforms. As in the US, this democratisation will encourage further reforms which will make our representatives truly answerable to the people, reforms such as the popular recall of governments, and the vetoing or even the initiation of legislation. I normally agree with David but in this case I fear that his knowledge of the internal affairs of the Liberal party seems to lack accuracy. I have been an inhvolved member in S.A. and Tasmania in both cases candidates were and are selected by the members. Here in Tasmania any member of a branch in an electorate, both State and federal, can attend and vote at the electorate committee meeting that sits as a pre-selection committee. There are rules such as a qualifying period but generally every member can have a say. The rules about speaking refer only to speech that may be interpreted as being Liberal Party official statements. So for example as myself I can say that extreme Climate Change is a fraud but if I say it as a branch official or even a member and state that ” myelf a Liberal Party member (or president of branch or whatever) then I require clearance to speak on behalf of the party. A small infringement on my liberties but I can always resign and say that myself an ex Liberal etc etc. I have often been quite outspoken in letters to the editor and it has never caused me to be even queried let alone disciplined. By being part of a political party we do give up some of our individual rights to comment publicly. Unless of course, you join the Anarchy party! I am always dissapointed that many conservative commentators view of the Liberal party seems to be formed from reports in the left wing media. Nothings so perfect it cannot be improved! However, the Liberal party with its focus on individuals is so massively more democratic than the Labor Party that direct comparisons are invidious and often aimed at dragging the image of Liberals down to the same standard as Labor. Actually Martin, the description of the New South Wales Division of the Liberal Party is unfortunately accurate. The reform leader John Ruddick’s has been summoned to appear before the Executive on 22 November for speaking for about 10 seconds on party matters on the ABC, and in no way claiming to speak as a spokesperson.